Family is a recurring theme throughout the novel, and when I say family I don’t mean family as suggested by the government census bureau. In this novel Bernard talks of a family with respect to, how he coined it “mentee’s” or mentors throughout his life. From neighbourhood overseers, to adopted pastors found through travels, and other gifts from god found along the way. In a lot of ways this book unraveled much like the film A Guide To Recognizing Your Saints. You are born into your family, and the majority of the time they want nothing but the best for you. However; there are times when the responsibility is yours to recognize the positive influences and the way in which they can guide you in achieving your dreams. The author does a great job of utilizing a conversational tone throughout the book. He manages to inform the reader of the various intricacies while living within his troubled childhood environment. The initial narrative seems to come through the eyes of the child at the time the events are unfolding. There is no implication by me that the style is amateurish I am saying that it sounds as if Bernard at that space in time is speaking to you. There are moments at present age where Bernard reflects on the past with insightful commentary as well as analysis, but for the most part it is spoken from a youngster’s voice. One problem I had was the presence of long-winded passages that stood out while reading. I understand the temptation to use more splashy type of vocabulary but if the tone is childlike with a playful,hopeful, and approachable voice then the presence of polysyllables tend to lose their efficacy and purpose. As Bernard got older the presence of this type of vocabulary seemed more fitting and flowed more naturally as his passion for academia and literature evolved to a grander scale. I don’t advocate ever, ever, ever physical confrontation let alone when it involves a woman, but if you have ever worked in the “back of the house” at a restaurant it is incredibly stressful. As an owner of a restaurant the whole day is consumed by the operations so when you get home the last thing someone would want is a verbal reprimand once stepping foot through the door. In the same breath mother Vicky is also doing heavy lifting with the caretaking of three young children as well as working in a high stress work space. Simply put I wish the parents in this story knew their marriage was not going to work out before it came to blows for the sake of the children as well as the possibility of maintaining an amicable friendship. There are references in the novel from Dwayne Sr.’s own blood sister Raquel that he was intolerable and mean. From my gatherings he was more of a despondent, emotionally absent father more so than an angry one. More of a back story would have been appreciated for better comprehension of the roots of his anger. You know that Vicky is quite stubborn and unabashedly so, and you understand Dwayne Sr. is an angry individual but you don’t really know the underlying reason for why these personalities clash; star signs can’t be the only trigger. I want to know the whole story to make a better judgment of what is truly going on, not just what is revealed to the reader. Through the earlier passages I feel sorry for Dwayne Sr. and I probably shouldn’t, but the constant barrage from Vicky and work stress makes him more of a sympathetic character early in the book. Again no relationship should be harboured with fear but Vicky exhibited no signs of being a reluctant combatant she was more of the antagonist in these conflicts. Throughout my childhood I can justifiably say that the presence of my father was lacking. He was around but it seemed that when not working he spent most of his free time with friends deep into the night. 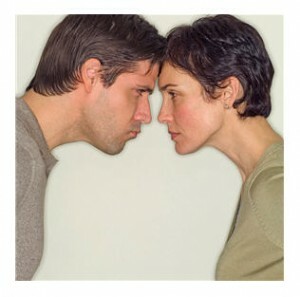 Like Bernard I remember the feeling being in bed that I, my pre-teen self, was my family’s initial line of defense. I had my plan of action if some burglars/bad people broke into the home that was until my father got home and I could finally take a breath,get to bed and come to terms with the fact that my job as mother/brother/pet/baseball card protector was over. What a relief!!! During my formative years becoming a man without the emotional and physical presence of my dad was tough. While reading about Bernard’s issues with his father I really could relate and felt a certain kinship towards him, not just by the apparent reasons but more so in the way he handled situations emotionally with his father. Lemonade is truly the ultimate success story, similar to that of a fairy tale in that you don’t believe it to be true and you were waiting for him to get the girl at the end. 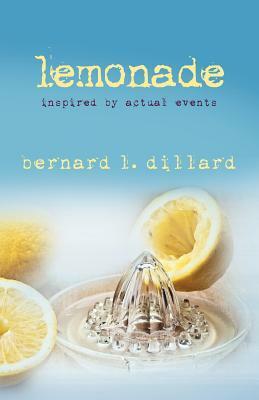 Congratulations Bernard, and thank you for helping me learn how to transform lemons into something that is oh so sweet.